You are here: Home / Mens Health / Treatment Options For BPH: What Is A Prostatic Stent? A prostatic stent is a device used to either permanently or temporarily open the male urethra and it can be inserted as a temporary or permanent device. Prostatic stents are used most often for patients with significant medical problems that prohibit medication or surgery. It is a tiny, springlike device inserted into the urethra. When expanded, it pushes back the surrounding tissue and widens the urethra. This option is used most often to treat BPH in elderly men with acute urinary retention who are in poor overall health and unable to withstand more aggressive BPH treatments such as TURP. Prostatic stents are not considered a long-term solution, and they don’t work at all for some men. The success rate ranges from 50 to 90 percent, and there is a high rate of complications. The stent is placed inside the prostate on the end of an instrument called a flexible cystoscope. This is a flexible instrument that can look inside the body. You are conscious during the procedure and local anaesthetic jelly is placed in the urethra in order to make the procedure more comfortable. The flexible cystoscope is then passed through the urethra into the prostate allowing the stent to be positioned appropriately. The whole procedure takes about 15 minutes and can be watched on a monitor. They can be placed in less than 15 minutes under regional anesthesia. Bleeding during and after surgery is minimal. The patient can be discharged the same day. They may cause increased urination and limited incontinence. They can become dislodged, leading to urinary obstruction or total incontinence. They can become infected and can be very difficult to remove. Their fixed diameter limits subsequent endoscopic surgical options. They can be placed in less than 15 minutes in a manner similar to Foley catheter placement. They can be easily removed, also in a manner similar to Foley catheter removal. They allow the patient to retain volitional voiding. Patients prefer a temporary stent to Foley catheter use. A temporary stent will not provide voiding function if the patient does not have a working bladder and external sphincter. The stent may cause mild discomfort. They may cause urinary frequency which usually subsides after the first 78 hours. If the stent is not sized correctly or placed correctly, the patient may experience urinary retention or slight incontinence until the problem is corrected. For the first couple of days, there may be some discomfort and even some burning as you pass urine; however, these symptoms should gradually wear off over time. Minor side effects of having a prostatic stent include: having to urinate often and right away, dribbling of urine, discomfort, and light bleeding. 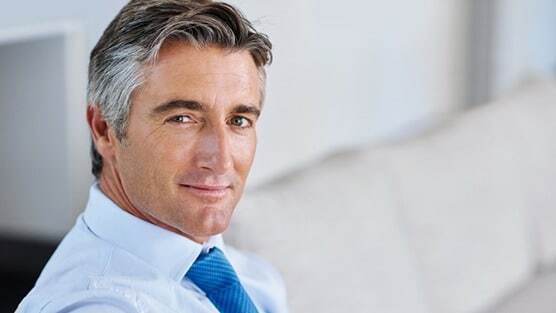 Men with BPH are encouraged to discuss all of their treatment options with their urologist.